For the establishment media, socialism is an extremely flexible thing. On one hand, socialism has failed and been discredited. It's followers have already abandoned it. Any poor soul who still gives it a second thought is an anachronism deserving of public humiliation. On the other hand, socialism is a scary force that is taking over everything. Socialism is hiding under your bed, lurking around every corner, is plotting to take away your children, and destroy everything that is good in the world. 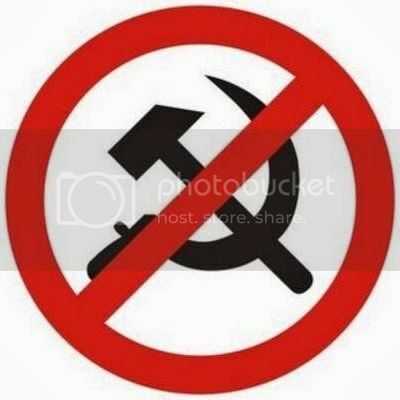 Unlike virtually everything else in life, socialism can be whatever its detractors say it is. At the same time, whatever it's supporters say can safely be ignored. Truthdig had a good article about this. So socialism is dead and buried. It was laughable that those crazy left-wingers even tried. So stupid. There's just one little thing: Those crazy left-wingers aren't paying attention, or don't care, about the news media obituaries. 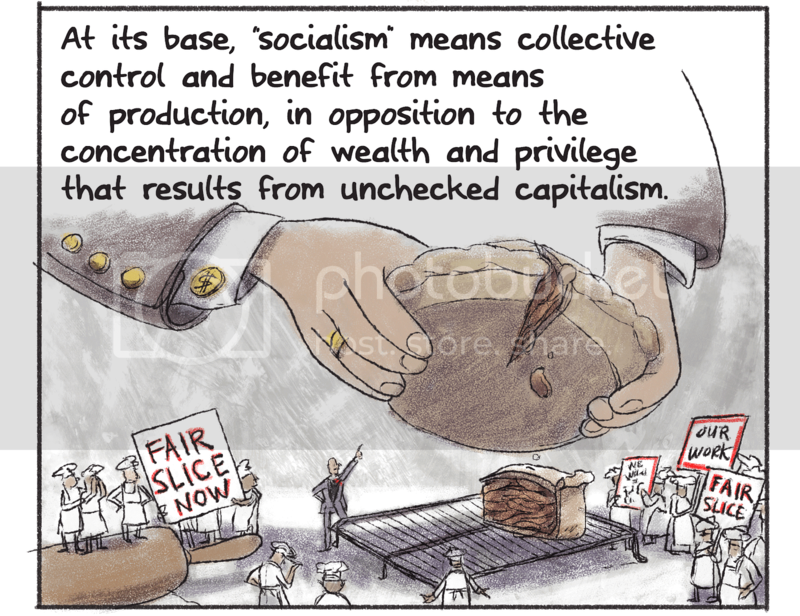 So socialism then becomes the Tea-Party-Of-The-Left. First of all, the Tea Party accomplished many of its goals, so comparing the DSA to the Tea Party is only a negative for someone on the left. Secondly, the Tea Party had heavy corporate backing, and was embraced by the GOP. The DSA has no corporate backing and is hated by establishment Democrats. Then it occurred to me that this false comparison has been made before. As the movement gains momentum, it seems to be taking off in an eerily similar way to another political wave which has swept the country since 2008: the Tea Party. Strikingly, both of these movements claim they represent the voice of average Americans, and they are right. Conservative commentators Karl Rove and George Will argue this week that the Occupy Wall Street (OWS) movement isn’t comparable to the Tea Party, reasoning that the former is composed of whiners and extremists while the latter is all about mom and apple pie. But nearly every complaint these commentators lodge against the OWS protesters could have applied to the Tea Party in its early days, and many still do. Both have leveraged the energy into large gatherings of people in order to be a visible and passionate expression of that frustration. Both are claiming to speak on behalf of a large sector of the United States who share their frustration. Both have been targets of media and political sensationalism and labeled, “anarchist” “fringe” or “radical” and have had “bad apples” used as sources for broad sweeping characterizations. Both have individuals — the aforementioned “bad apples” — who act in ways that do not represent the core values of the movement. Both have had politicians, entertainers, organizations and religious leaders pledge their support. Both illicit strong emotional responses from those who see themselves as part of the ideological opposition. So OWS and the DSA are just like the Tea Party, except for their agendas, their backers, their participants, their values, and their lack of establishment allies. The fact that they won't go away makes them very, very scary. So yeh, the DSA has been treated by the media just like the Tea Party was....except for all the negative coverage. Otherwise, they are just the same. Driving wedges between rural tea partiers and urban progressives is so counter productive. It doesn't matter how these groups were formed, they both tap into the same frustration with the economy that has seen workers wages stagnate since the 70's and a silent depression since 2008. Both groups are also antiwar, which I would hope counts for something. Look, people are hurting all over, but they're getting motivated. That's a good thing. Yet if we continue perpetuating division, all that energy will go nowhere, and the PTB will laugh at our foolishness for so kindly helping them keep groups with similar core issues at each others' throats. This false equivalency galls me all the time. The Tea Party was a rebranding of the most extremist RW, conservative elements of the Republican party by billionaire operative Koch Bros and their cronies in the media. They paid for completely duped old grumpy white folks to be driven around in paid-for buses ("hey, a day out, AND, we get a free ride on this nice bus and lunch (and probably other goodies too)" to act out like imbecilic children at Democratic Party member's town halls in order to disrupt any talk of single-payer healthcare. And their mouthpiece was some business "reporter" dunce on CNBC. "Keep your gubmint hands off my Medicaid." Not exactly intelligent either. I don't have the time now to espouse all I'd like on how amazing it was and life-changing personally for me to have come upon so many dedicated, highly intelligent and deeply compassionate people of all walks and stripes, committed to occupying public space in NYC to call attention to the real problem of American government, which was Money In Politics, and the direct, outlandish and evil influence Wall St and Corporate America has on it, as well as the inextricable links to monopoly, the prison industrial complex, imperialism, our education system, the farm industry, Big Pharma, etc etc etc. Occupy may have went over most people's heads during its life (when it wasn't also disparaged relentlessly by the MSM or more precisely, blacked out in coverage). It's now, however, with this ongoing economic slog offering no relief in sight, largely seen as very prescient and the pathway to Socialism earning its rightful place as the only humane answer to capitalism gone amok. And leaders? I'll take Eugene Debs on that, rather than the chorus of mainstream naysayers sitting in their comfortable offices looking a their comfortable 401k's snickering while sipping their lattes. As far as DSA goes, I'm having lunch next week with one of the main Queens organizers of the Ocasio campaign. Will let you know if there's anything interesting to report. Just like the successful effort to make "liberal" a bad word, an effort started after the 1964 election, when "liberal" was a very patriotic word. It's hard to stop billionaires who want to be oligarchs and who know, what George Orwell told us, that if you control the language, you control the people. Conveniently forgetting to use the complete term "Democratic Socialist" is implying in not-so-subtle fashion that Socialism = State Socialism = Stalinism. After three years of Bernie Sanders being on the national political radar, his supporters understand that Democratic Socialism = FDR Liberalism, a vast improvement over current-day Neoliberalism. I don't think too many people are fooled by this kind of scaremongering, either. Moreover, the vast number of people 40 years or younger don't really have much of a memory about the Cold War nor were old enough to fully comprehend all the terms bandied about during that decades-long ideological struggle. Now, people like to put another question to Warren. Just four years ago, no one would have even thought to ask. With the 2020 primary months away, it’s one of the questions Warren gets most. The new and pressing reality facing the Massachusetts senator is this: Elizabeth Warren, once a singular power on the left, is now a name that people conflate with Bernie Sanders. Now, when Warren gets the question, she has her answer ready. ...she deserves the crash of the markets. To distract me from it, I watched the following video about the 50 year's anniversary video on The Real News Networks about the 68 anti-Vietnam war demonstrations and the DNC 68 Convention in Chicago, which included comparison to today's activists struggles. It's a longish piece. For me it was informative. @mimi this is where the right and what would become the neo libs decided that the people had too much influence in governing and money and power needed to reclaim it's rightful place. Yes, the Tea Party Movement was not attacked by the major media. In fact their influence and numbers were inflated by mass media coverage beyond their size. If the media made Trump during the primaries, the media also made Tea Party when it first appeared. Yes, the democratic party establishment and party lackies at TOP attacked OWS once they were put down. I don't remember gop attacking them. OWS was violently put down by a coordinated attack almost ordered right out of the Oval Office that included police departments controlled by democrats. The gop did not cheat the Tea Party in the primaries witness the number of incumbents they put down. And given that Trump won over establishment figures and he was hated by the goper establishment. I am taking that Bernie and progressive movement as a follow on to OWS. Yeah, take a look at Ron DeSantis in Flawer'Duh. It didn't take long for him to play the racist card or the "Ah! Ah! Ah! Teh Soshlizum! Bewhewhew Far Left!" card. I also had a good laugh with regards to what he said about Cuba, i.e. "Raising the Cuban Flag with the 'Murican Flag is an insult to those who experienced the harsh Castro Regime." Yeah, given how young this SOB is, I doubt he'd know what life was like in Cuba with Castro in charge, nor does he care that Cuba has the best medical system on the planet or that people flock from all over the world to Cuba to become doctors (doctors are also Cuba's leading export). I'm sure he'd be perfectly happy had that US backed dictator Batista were still in charge. Sure, the US pigs backed Castro initially, but actually tried to re-install Batista when Castro wouldn't bow to US corporate interests. I would call DeSantis something else, but that would be stooping to his level. Socialized police force. Protects the rich from robbery, the powerful from the weak. No problem, socialism works fine. Socialized military. Protects overseas business interests of the rich. No problem, socialism works fine. Socialized Fire Departments. Protects the property of the rich. No problem, socialism works fine. Socialized Highway system. Allows the rich to market their goods. No problem, socialism works fine. 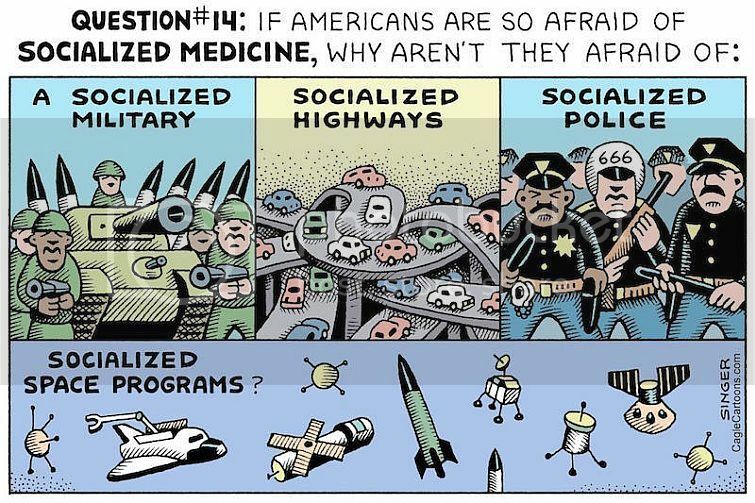 Socialized medicine. Rich already have access to the best medicine. Socialized medicine only helps the poor. We must beware of the scary socialists!!!! ... that everyone reading this has been told by conservatives that Nazis were "socialist" because, national socialism. To which I always retort, "Just like the Democratic People's Republic of North Korea is a democracy?" Pig Democrats go full right-wing on Gillum. No surprise. Also, two of the best takes that really speak for me. First is from activist/feminist/playwright Eve Ensler, called "Ambiguous UpSparkles From the Heart of the Park," written a few weeks after it started. I have been watching and listening to all kinds of views and takes on Occupy Wall Street. Some say it’s backed by the Democratic Party. Some say it’s the emergence of a third party. Some say the protesters have no goals, no demands, no stated call. Some say it’s too broad, taking on too much. Some say it is the Left’s version of the Tea Party. Some say its Communist, some say it’s class warfare. Some say it will burn out and add up to nothing. Some say it’s just a bunch of crazy hippies who may get violent. And, Taibbi in Rolling Stone just before the brutal, middle of the night invasion by the thugs in the NYPD, coordinated by a cabal of DHS, Homeland Security, city mayors, Fortune 500 companies and some nefarious-sounding thing called the Domestic Security Alliance. Much more than a movement against big banks, they’re a rejection of what our society has become." It goes on like this in one of his more beautifully evocative pieces. Read the whole thing. Show me words written about the TP that are even close to being on the same level. It's not even comparable.